Go to Limited Edition Comix right now and get yourself a set before they sell out. Three Ebas covers will accompany the release on July 4th 2018; A regular cover with dress, Virgin and a sketch. Winner will be announced on July 6th. Good luck! This promotion is open to participants in the continental U.S. only. If you have won a giveaway from Trending Pop Culture within the last 6 months, you are not eligible in this promotion. Trending Pop Culture and Limited Edition Comix are not responsible for any lost item(s) or damages during shipping. There will be no replacement item(s) shipped out once the product is in the sole possession of the delivery service of Limited Edition Comix choice. 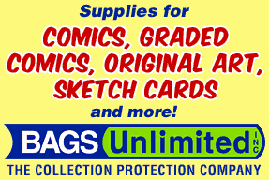 Employee’s or family members of Trending Pop Culture, Limited Edition Comix or Social Media Giveaway are not eligible for this promotional giveaway. Please allow some ample time for your comics to get to you. If you do not respond via message or email to our announcement that you’ve won on any of the social media that we post and tag you on within 15 days, your prize will be forfeited. No rainchecks. We will not chase you. Trending Pop Culture does not send out prizes. The above company or creator giving away the item(s) sends out the prize(s). Once we receive your address information we send it to the company or creator so that THEY send it to the winner. Trending Pop Culture is NOT responsible for any item(s) not shipped out in a timely manner. Trending Pop Culture is also not responsible for ANY purchased items on ANY website other than our own. We are not liable for any payments made to outside websites other than any purchases made directly through Trending Pop Culture. If there is an issue with any purchased product or shipping regarding this giveaway that is not purchased through Trending Pop Culture, please contact the company or creator directly if you deem it necessary to do so. We will NOT be the middle man handling the issue, payment(s) or shipping of your item(s).